Nickel is the latest introduction to Crosswater’s product range, with a silky smooth and reflective finish that is perfect for introducing a hint of pure indulgence to homes. Create your ultimate showering experience with a Crosswater showerhead, there’s an array of sophisticated styles, sizes and ideas to inspire you. All designs are intuitively designed to ensure you have a supreme showering experience every time. 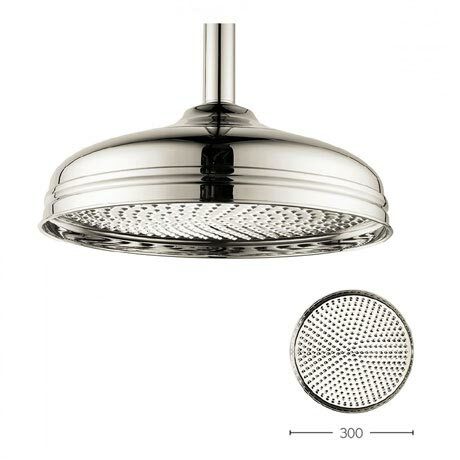 The luxury Belgravia 300mm Round Fixed Showerhead can be used with a ceiling or wall mounted arm and is manufactured from solid brass. This traditional style head will compliment the shower valves within the Belgravia range.